Books on the history of Otago people and places. Regional local history. VG hardback in VG dust jacket. Reed 1967 reprint hard cover, 175pp+ plates. Published for the Centenary of a school district in the Catlins. G+ softback, name at front and some wear to covers. 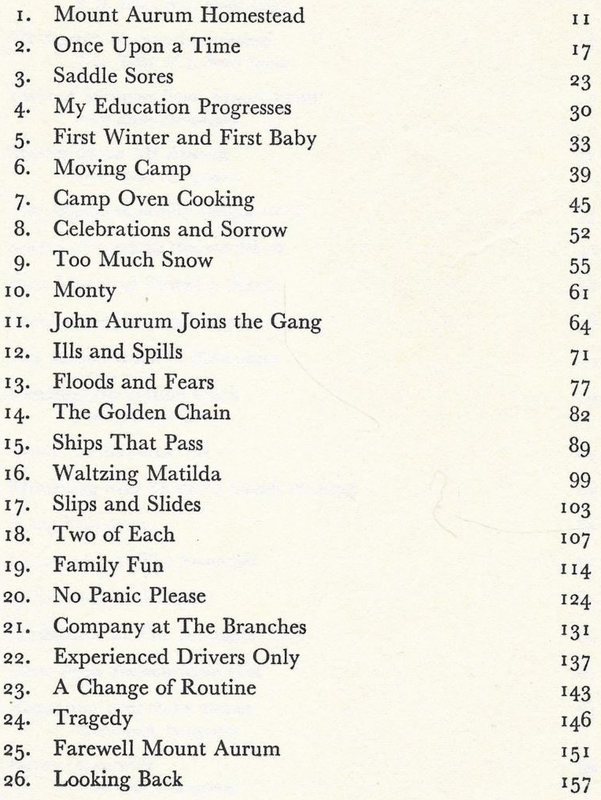 Catlins Schools' Centennial Committee 1976, 168pp. A Jubilee Memorial of the Presbyterian Church of Otago. 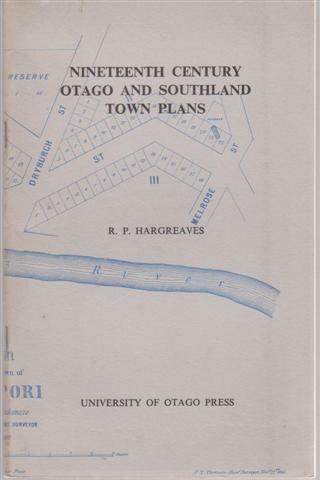 Includes mention of the original settlement of Otago, and the purchase of land from Maori. Captain Cargill's arrival etc. Many photographs. G+ hardback in white buckram with red decoration, slightly soiled from handling, corners bumped, front fep missing, frontis and tissue present, untrimmed closed edges slightly foxed, small chip from head of title and contents where carelessly opened (cut). No jacket. Official reports and surveys on the proposed Clutha River hydro-electric and irrigation scheme. Includes folding charts and diagrams, some photos, various official reports etc. VG- paper bound typescript with stapled binding with taped spine as issued. 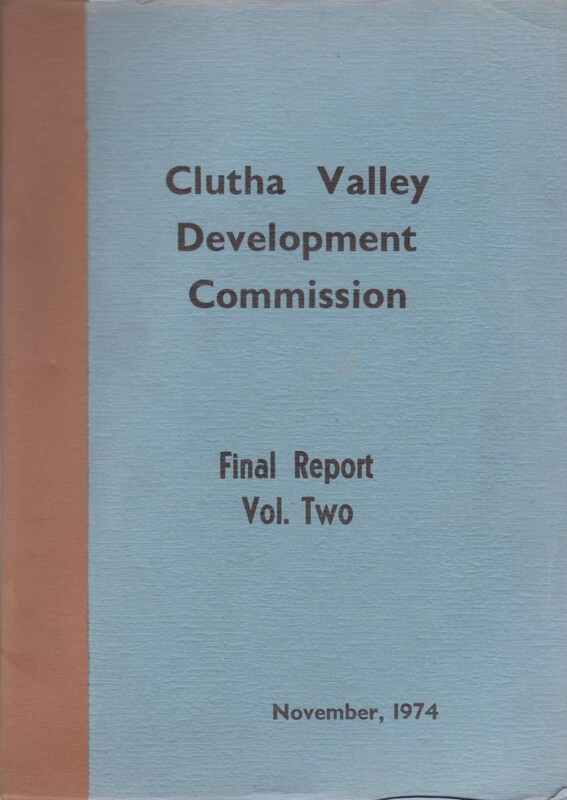 Clutha Valley Development Commission 1974, approx 100pp. 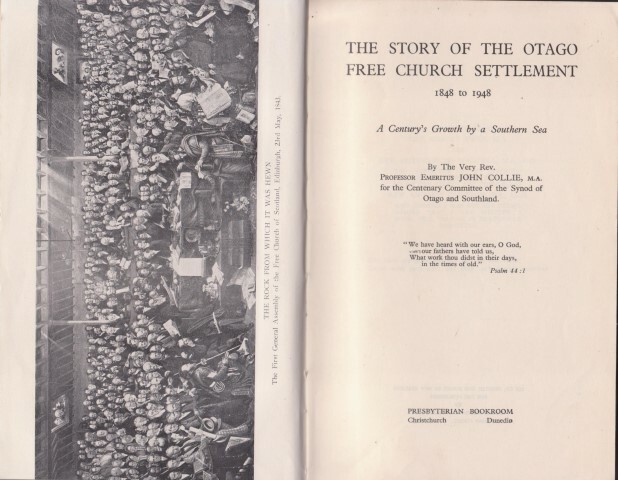 The history of the Presbyterian Synod of Otago and Southland. Includes Missionary work, Knox Residential College. Gives much local information pertaining to the development of Otago and Southland, and prominent members of the church and community. This copy is one of 200 numbered and signed copies in the deluxe edition. Signed by the author and the convenors of the Centennial Committee and the Historical Committee. G+ leather bound hardback. Spine sun-faded, spine ends rubbed, internally tidy except some minor pencil notes to margins. Presbyterian Bookroom 1948, xvi 368pp + plates. VG hardback with no dust jacket. 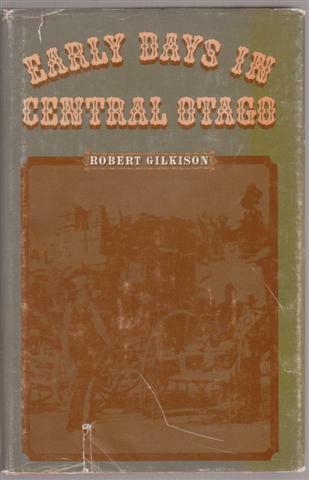 A clean copy of the standard edition. Presbyterian Bookroom (1948) cloth, xvi 368pp + plates. A reprint of 1888 original penned by a settler who arrived in 1860 on the 'Clontarf' to the Lake Wakatipu area. The story of the pioneer settlers of Otago. Includes maori days, gold rushes etc. VG hardback in VG- dust jacket with some short scuffs or chips to spine ends and upper joint. Whitcombe and Tombs 1967, xv 191pp. Fourth edition, with corrections and new illustrations. VG hardback in VG- dust jacket with some short edge tears and surface rubbing. Whitcoulls 1978, 191pp + plates..
VG VG chipped spine ends of DW, fep removed. Faber / Whitcombe and Tombs 1957 first edition cloth, 190pp. 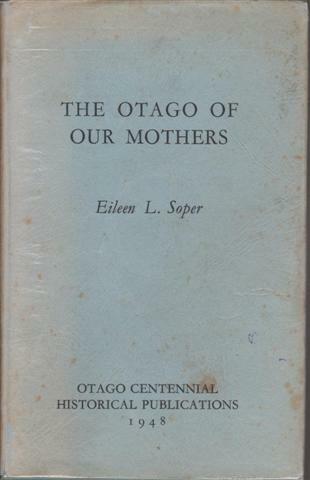 Autobiography of the founder of the New Zealand Obstetrical Society and an early pioneer woman doctor, sequel to Backblocks Baby Doctor. Early days in Otago and Southland. 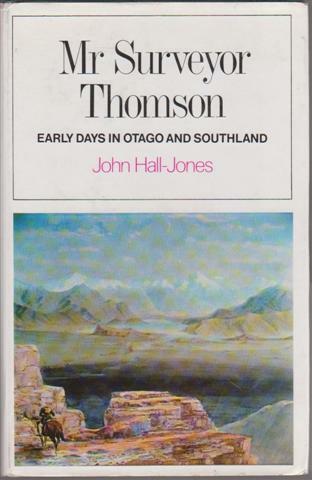 The biography of John Turnbull Thomson, Surveyor-General of New Zealand. Thomson began surveying Otago in 1856, and was the first European to see such places as Lake Wanaka, Lake Hawea. Early New Zealand exploration and Otago history. VG softback, folded and stapled through spine. E & S Livingstone 1964 first edition hardcover, 381pp. 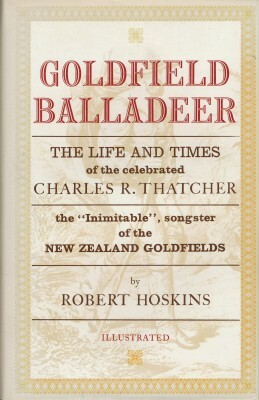 The life and times of the celebrated Charles R Thatcher, the 'Inimitable' songster of the New Zealand goldfields. Balladeer of Australian and New Zealand goldfields in 1850-1870s. Complete with bibliography, and the lyrics of 24 songs, with the names of the tunes they were set to. VGhardback in VG dust jacket. 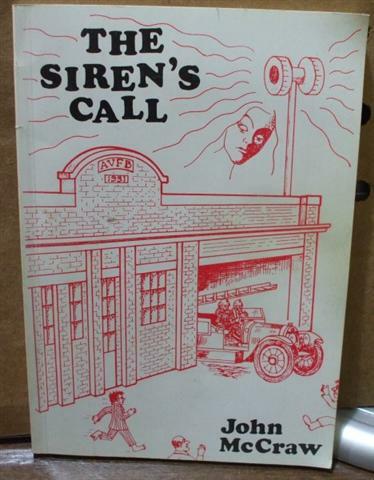 Collins 1977 first edition. 194pp + plates. 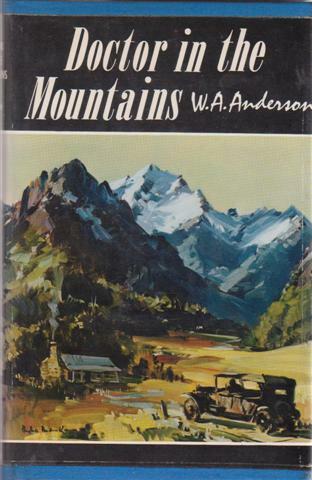 Author collects the reminiscences of Otago Old-Timers. Reed 1979 first edition hard cover, 180pp. 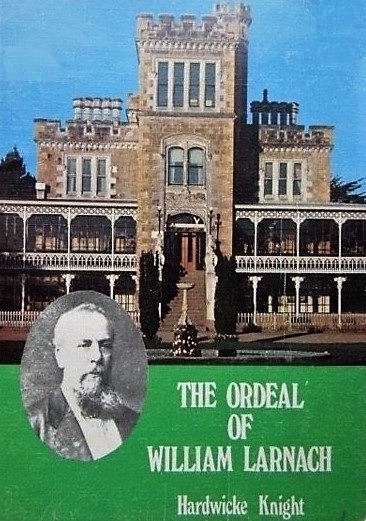 William James Mudie Larnach CMG (27 January 1833 � 12 October 1898), is best known in New Zealand for his grand house Larnach Castle in Dunedin. With varying success in business and politics, he was appointed Chief Colonial Manager of the Bank of Otago, whose decline he could not reverse. A number of factors may have contributed to his decision to commit suicide in a committee room at Parliament. VG softback with minor wear to covers. University of Oatgo 1993, 136pp. Shotover River near Queenstown in Otago. High country mustering at Mount Aurum etc. 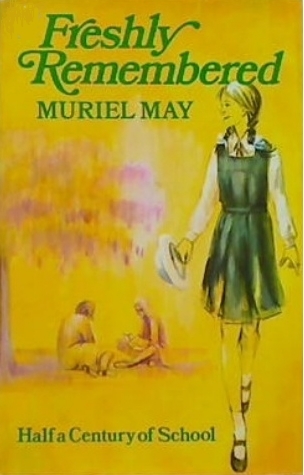 Muriel May's memoirs of fifty years in the Otago education system. VG softback Signed by author. 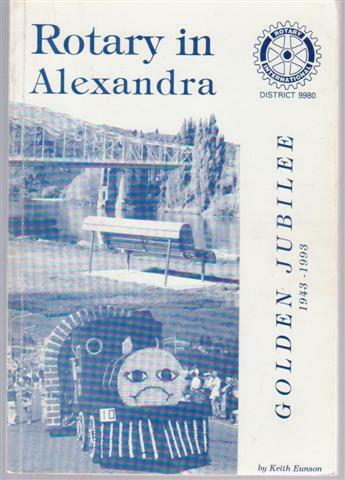 Silverdale Publications 1991, 157pp with illustrations and maps. 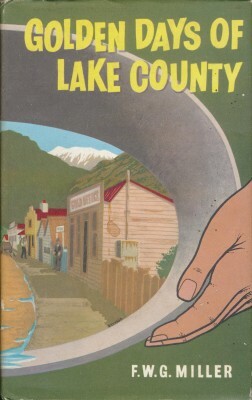 A history of the area near Wanaka, Wakatipu, Arrowtown, with details of gold mining etc. VG hardback in G dust jacket which is worn at edges with some loss. Whitcombe and Tombs 1973 ( fifth edition), xv 368pp + plates and maps. History of the various departments of the University over the years, and medical developments. VG+ hardback with no dust jacket, name to first page. 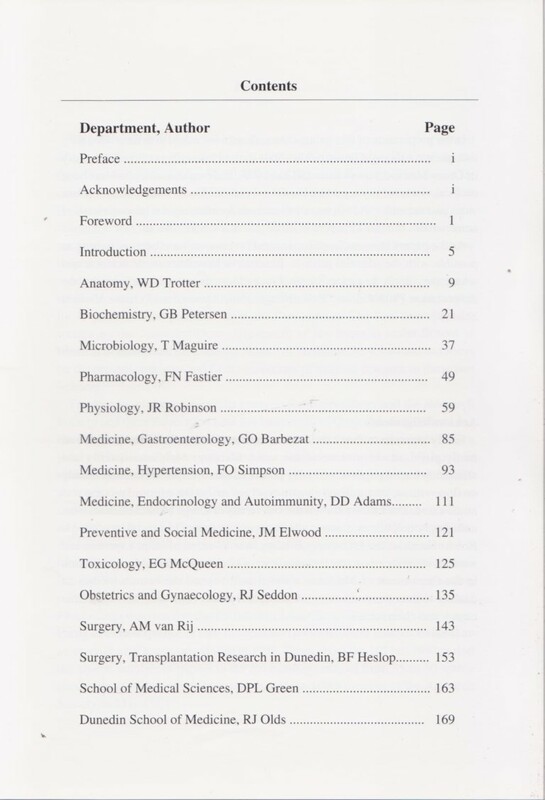 Otago Medical Research Society 1997, 176pp. 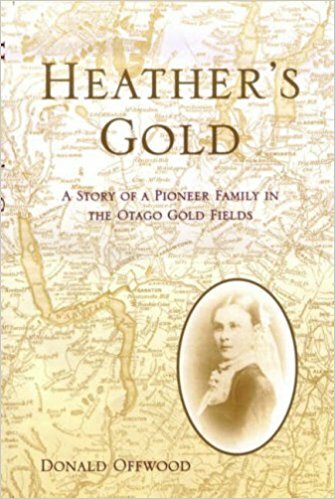 A Story of a pioneer family in the Otago gold fields. The author has placed his fictional McDonald family into a narrative based on historical research, and most of the people they meet are based on real historical personages. VG softback with author's gift inscription. Caxton Press 2005 first edition, 328pp. A complete history of the European society in Otago. From the earliest explorers, contact with Maori, colonisation and development of the settlements. Illustrated in line throughout. VG hardback with no dust jacket. Red cloth. VG faint india ink writing to paste down, light foxing to closed edges. David M Lister 1927 first edition cloth, 362pp. Author credited as "Extra master mariner, Hon. 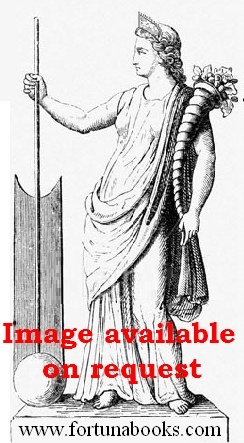 Bard Gaelic Scoiety of New Zealand. 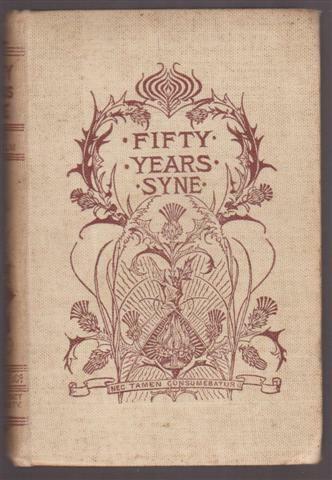 Assorted collectyed writings over the years by this chap who started life on the Isle of Skye as a herring fisher speaking only Gaelic. 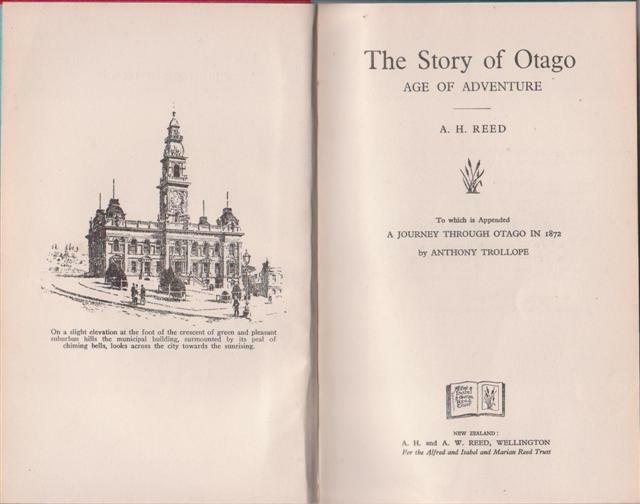 Much to do with the sea, New Zealand people and places with emphasis on Otago, his journeys in foreign parts etc. Some of the poetry is in Gaelic. 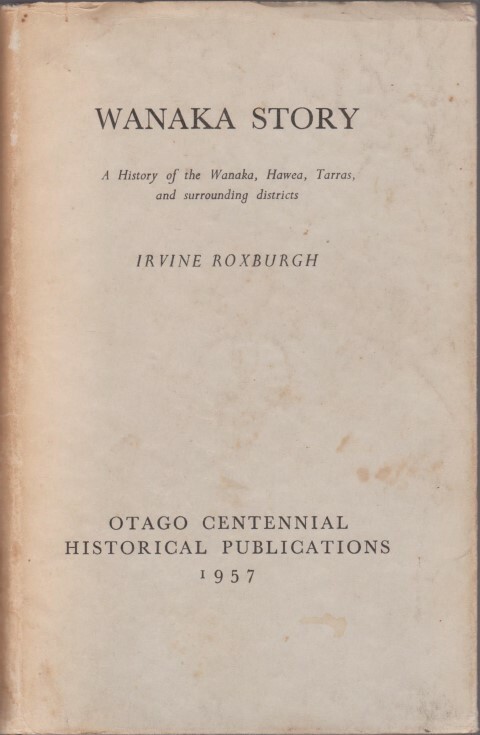 An illustrated history of Wanaka, Hawea, Tarras, and surrounding districts of Otago. VG- hardback in VG- dust jacket. Small area stained to top edge of rear book board and top margin of a few pages. Dust jacket has an age browned spine and some handling soiling. Owner's inscription to fep dated 1958. 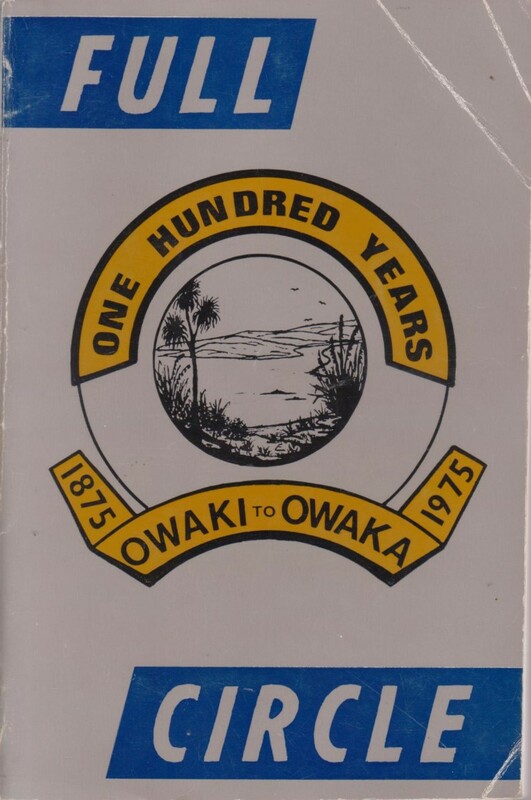 Otago Centennial Historical Publications 1957 first edition, 274pp + plates. The Nineteenth century founders of Otago and the pioneering women who helped establish the Otago settlement. 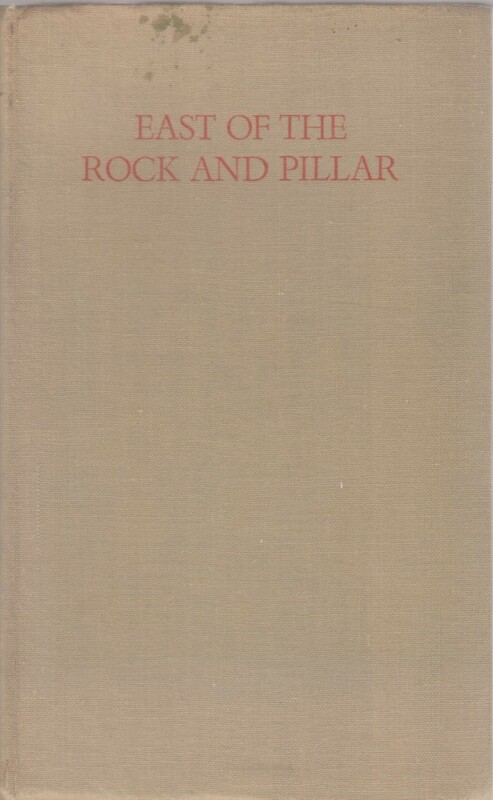 VG hardback in VG- dust jacket , slightly soiled or faded, light rubbing to joints. 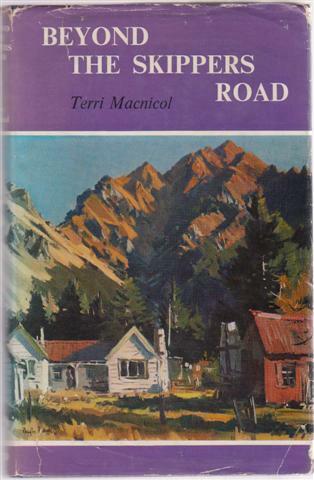 A history of Strath Taieri and Macraes Districts in Otago including early farming and the gold rush. VG hardback with no dust jacket. 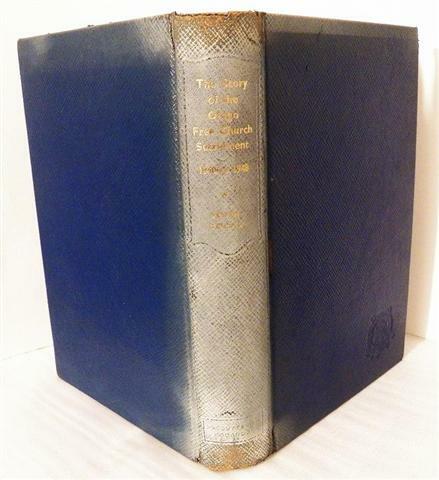 Whitcombe and Tombs 1949, first edition, 204 pp. 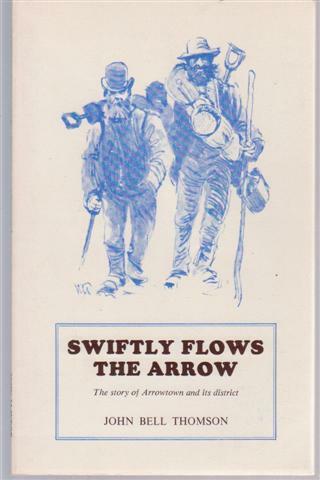 The story of Arrowtown and its district, gold rush etc. 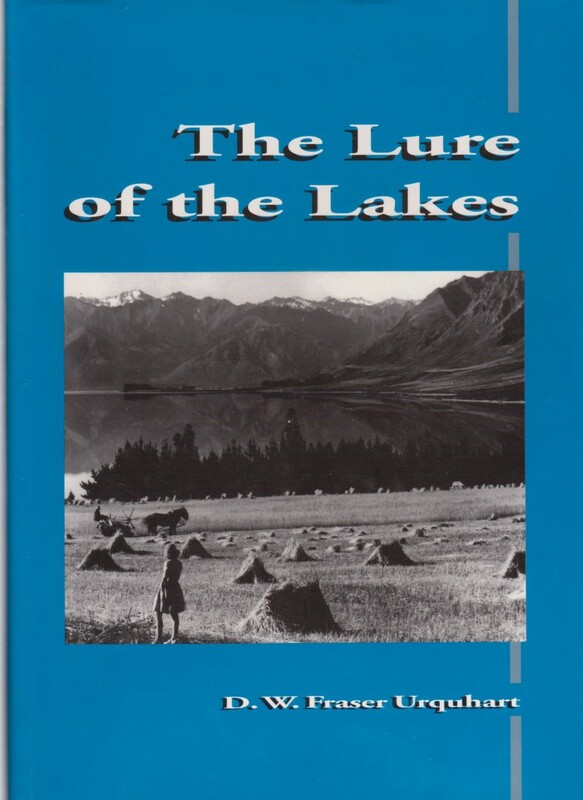 A family and regional history of pioneers in the Lake Hawea area of Central Otago. Includes genealogical charts of the Urquhart, Trustrum, Matheson, John and Taylor families. FINE hardback in Near fine dust jacket. K A Hawkes 1998 first edition limited to 1000 copies. viii 159pp+ xxv pp. 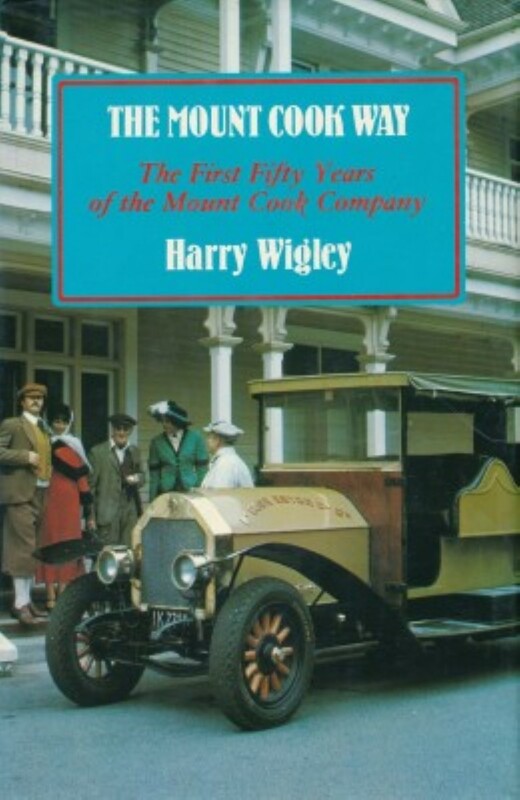 The first fifty years of the Mount Cook Company. Originally a road transport business, the Mount Cook Tourist Company of New Zealand became a public company in 1928 and became the largest tourist organisation in New Zealand. 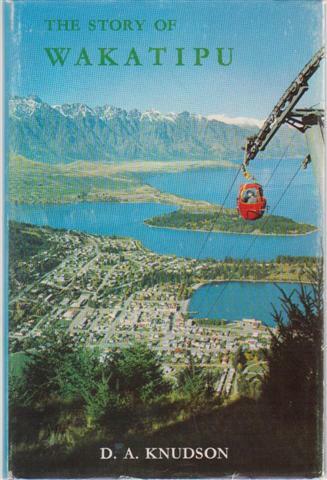 Renamed the Mount Cook and Southern Lakes Tourist Company, in 1976 it became The Mount Cook Group Ltd. Notable for the use of light planes flying in alpine areas. VG hardback in VG- dust jacket with short edge tears at spine ends. Collins 1979 first edition, 218pp. 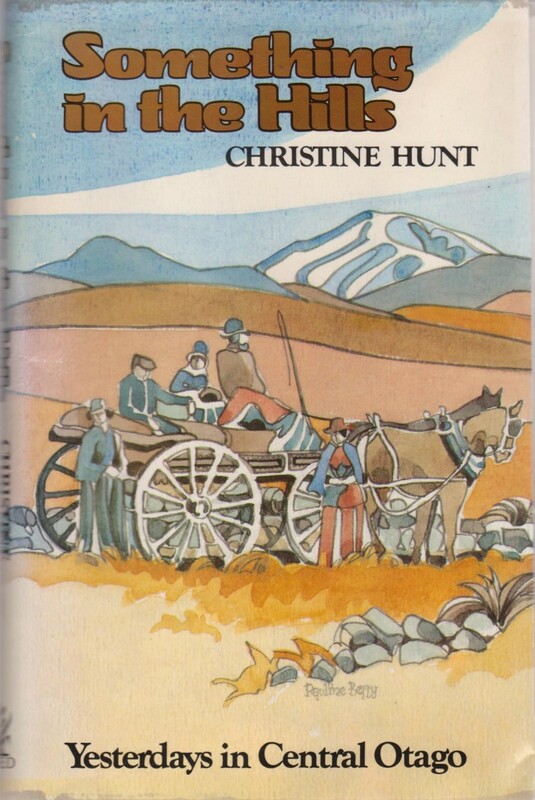 Early days in Otago and Canterbury, author was a sole teacher in Waitohi Flat Irish settlement. Also in the King Country. � 2015 by Fortuna Books (NZ).